Did you know that basil is the most nutrient dense herb? Pesto is a great way to include basil in your diet, and it includes heart healthy monounsaturated fats from olive oil and walnuts. It also adds protein from parmesan cheese to a vegetarian dish. Simon recently received The Sriracha Cookbook as a gift, and I couldn't wait to try out some of the recipes (there is also a vegetarian version of this book, by the way). 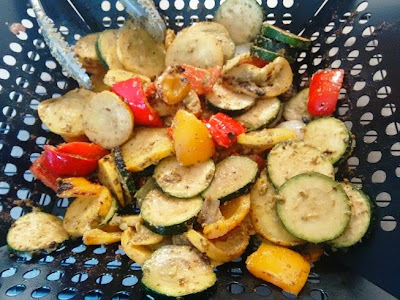 I bought a grill wok, which was only $10.00 at Winners, and I happened to have two very large basil plants, so sriracha pesto coated grilled veggies seemed like the way to go! I adapted the recipe from the cookbook based on how much basil I had (the recipe calls for less basil and the addition of spinach), and I reduced the amount of cheese. We served these veggies as a side with grilled chicken breasts and sweet potatoes. Toast walnuts in the oven at 325 degrees F for 5-7 minutes, until fragrant. Allow to cool. 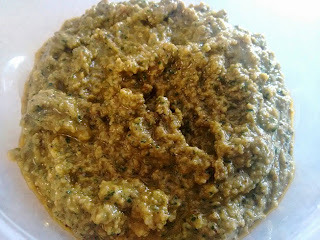 Add walnuts, basil, parmesan, olive oil, garlic, sriracha, salt and pepper to food processor. Blend until uniform in appearance, scraping down sides as necessary. 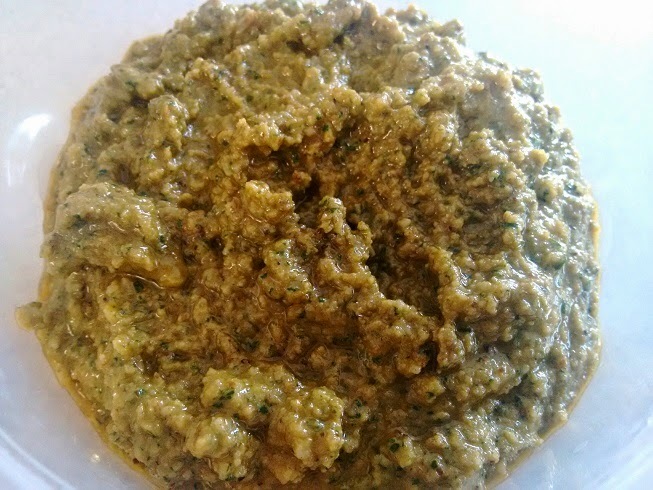 Refrigerate pesto until serving. Use on top of grilled veggies, grilled chicken, or pasta. Note: The amount in the picture is half of the veggies coated in pesto, or 4 servings. We had to grill in two rounds to make 8 servings (the wok could only fit that much). In a large bowl, combine all of the sliced vegetables. Toss in sriracha pesto until evenly coated. Spray grill wok with canola oil spray, then transfer vegetables to wok. Grill on the barbecue, tossing vegetables often, until vegetables are cooked through.